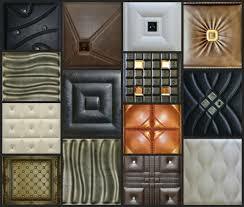 What new: Leather Tiles !! A unique trend in flooring and wall coverings that is receiving rave reviews from homeowners and business owners is installing porcelain tile that looks like fabric. This interesting, alternative to carpeting is being used in homes and businesses because of its design flexibility and easy maintenance. It offers the qualities of softness and texture and is available in a number of unique, timeless patterns and designs suitable for all room types. The various diverse and interesting patterns found in these unique versatile flooring collections allow the owner to project individuality in taste and preference. Solid colors made to resemble fabrics add warmth and the feeling of texture to any decor. Stunning mosaics and decorative pieces with multiple colors round out many of the collections. By combining the qualities of carpeting with those of porcelain tile, rooms take on an entirely new dimension that adds uniqueness to any space. Choose the Right Kitchen Appliances !! HOME DESIGN TRENDS FOR 2019 !! TOP 5 KITCHEN TRENDS FOR 2019! !